MARS Valet Service. Stellar performance for your peace of mind. 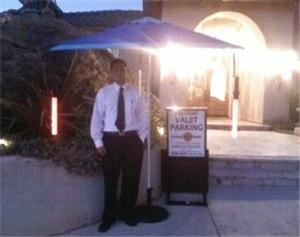 MARS Valet Service is a North Hollywood owned and operated entity, instantly differentiating itself from its competition. With over eight years of parking and valet managerial experience, the team is locally rooted and noticeably experienced. MARS Valet is committed to enhancing the level of valet performance, raising the bar to area business and customers and providing a unique and ultimately satisfying experience. MARS Valet provides expertise in situation analysis and client relations. This is a company built on one-on-one, honest, face-to-face communication with clients.